PLEASE NOTE – OUR CUSTOMER SATISFACTION IS KEY! (“We”) Ocansey Bianchi, are committed to protecting and respecting your privacy. This policy sets out the basis on which any personal data we collect from you, or that you provide to us, will be processed by us. Please read the following carefully to understand our views and practices regarding your personal data and how we will treat it. Ocansey Bianchi does not wish to process personal information from anyone under the age of sixteen (16). If you are under the age of sixteen (16), please ask your parent or guardian to register on your behalf. Correspondence which you may have with us if you contact us regarding return of goods, faulty goods etc. We may in some cases use the information you may provide us with in order to inform you of new products, promotions, sales periods and ad campaigns, should you wish to opt for this service. Please Note: We will not disclose any of the information that you provide us with to any third parties. Ocansey Bianchi grants you a non-exclusive, non-transferable, limited right to access, use and display the Web Site and the materials thereon for your personal use only, provided that you comply fully with these Terms and Conditions of Use. You shall not interfere or attempt to interfere with the operation of the Web Site in any way through any means or device including, but not limited to, spamming, hacking, uploading computer viruses or time bombs, or the means expressly prohibited by any provision of these Terms and Conditions of Use. Ocansey Bianchi reserves the right, at its sole discretion, to change, modify, add or remove any portion of these Terms and Conditions of Use, in whole or in part, at any time, in accordance with the law. Changes in these Terms and Conditions of Use will be effective when posted. You agree to review these Terms and Conditions of Use periodically in order to be aware of any changes. Your continued use of the Web Site after any changes to these Terms and Conditions of Use are posted will be considered acceptance of those changes. Ocansey Bianchi owns, controls, licenses or has the right to use and provide the Web Site and all material on the Web Site, including without limitation text, images, articles, photographs, illustrations, audio and video clips, (collectively the marketing “Content”). The Web Site is protected by copyright as a collective work and/or compilation, pursuant to U.K. copyright laws, international conventions, and other copyright laws. Ocansey Bianchi is the owner of the copyright in the entire Web Site. Ocansey Bianchi owns a copyright in the selection, coordination, arrangement and enhancement of the Web Site. You agree to abide by any and all copyright notices, information or restrictions displayed on the Web Site. You may not modify, create derivative works from, participate in the transfer or sale of, post on the World Wide Web, or in any way exploit the Web Site or any portion thereof for any public or commercial use without the express written permission of Ocansey Bianchi or its affiliates. You may download a copy of Content from the Web Site for your personal use, provided that you maintain all copyright, attribution and other notices contained in such Content, including without limitation trademarks and service marks of Ocansey Bianchi and its affiliates or the copyright holder identified in the individual Content’s copyright notice. You acknowledge that you do not acquire any ownership rights by downloading copyrighted material. You are responsible for complying with all applicable laws, rules and regulations regarding your use of any such downloaded Content. In the event of any permitted copying, redistribution or publication of material from the Ocansey Bianchi Web Site, no changes in or deletion of author attribution, trademark, legend or copyright notice shall be made. If you are not happy with your purchase for any reason we are happy to provide you with a refund provided you meet our terms and conditions. You can return all items to us (ocansey bianchi) except bespoke orders within 7 days from the date of delivery (the date of which you received the goods), providing all items are unused, undamaged and unsoiled. All items MUST be returned in their original condition, which you (the buyer) received the goods, with all labelling and tags still attached. The refund you will receive will be the total costs of all returned purchases less the shipping costs. For Ocansey Bianchi return services you will be deducted the sum equal to the order shipping costs. If you prefer or would like to use a different shipping service to that which is used by Ocansey Bianchi you are more than welcome to do so. However in this case any possibilities of loss, theft or damage which may occur during transit for the returned shipment will be at your own risk, expense and responsibility. Please note: All product returns must be sent at your own cost via registered mail or courier of your choice in their original condition. Your return will be accepted within 5 working days from the delivery date at our offices. Refunds will be issued only for properly returned items. If your return does not meet the conditions listed above, we will not be able to issue the refund and the package will be sent back to you. You may keep track of the return status through the Tracking Number issued to you upon dispatch. After we have received your returned purchases and verified that all our terms and conditions regarding returned items have been met, you will receive a confirmation email confirming receipt of goods. Refund times will depend on the method of payment used when purchasing the goods. The refund will be credited to the bank account details you have specified; therefore a refund time will depend on the accuracy of the information that you provide us. Ocansey Bianchi will in no way except liability for funds credited in the wrong account so please ensure the account details are accurate and correct. Once refunds have been credited to the account details which you provide us with a confirmation email will be sent out to you. You can check your refund via your online banking account or by contacting your local branch. Please allow 3-5 business working days for the process of your order (with the exception of pre- ordered only goods or bespoke orders) for shipment in addition to the time indicated by the shipping method. All orders are processed on Monday-Friday 9-5 excluding national holidays. Ocansey Bianchi will not be liable for any unanticipated delays for delivery of goods. PROOF OF DELIVERY IS REQUIRED. A shipping confirmation will be emailed to you as soon as your purchase has been shipped, which will allow you to track the status of your shipment. 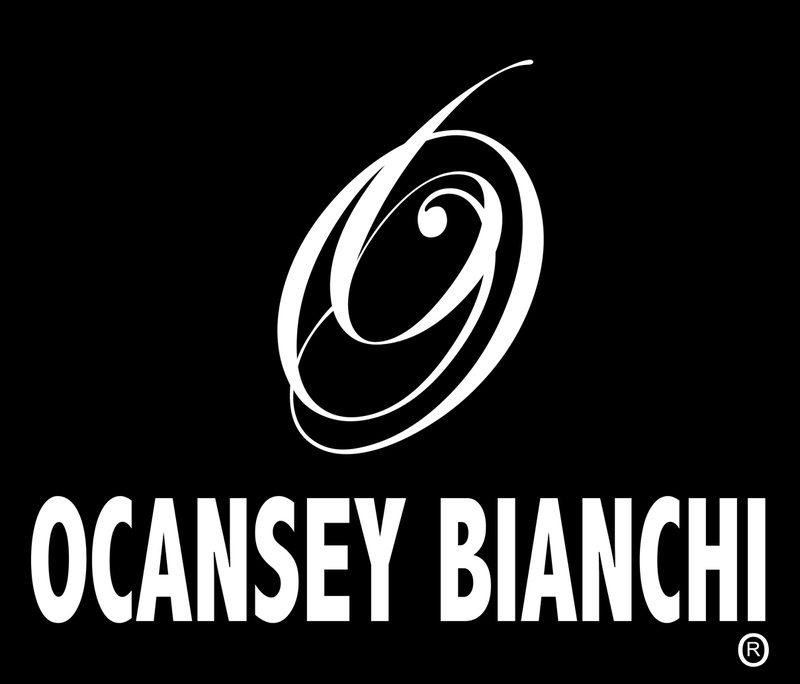 Please note that, for security reasons, all Ocansey Bianchi online purchases will require an adult signature upon delivery. In addition, purchases cannot be shipped to P.O. boxes.